Journal de La Reyna (World News Today): Ed Schultz Passed Away! Ed Schultz had passed away. The former progressive talk radio host turned Trump supporter passed away in Washington, DC. Schultz perhaps best known for his firebrand progressive commentary died in his sleep confirms his publicist. Schultz leaves behind a wife, Wendy and six children. Schultz worked for MSNBC and later RT (Russia Today). "We at RT America are sad to announc the passing of Edward Andrew Schultz. 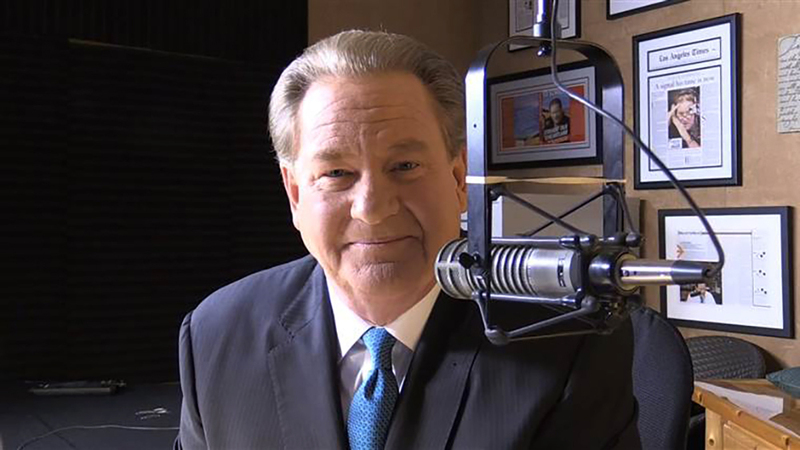 Ed Schultz passed away quietly early morning on July 5 at his home in Washington, DC. This announcement comes as a shock to all of us here at RT America." Born in Norfolk, Virginia and grew up in the area. He would move to Minnesota to play football and had an opportunity to play for NFL as a free agent. He also tried out for Canadian Football League. He was also a local sports reporter from the Fargo-Moorhead region. Schultz found his calling with radio. He started as a conservative agitator. He also soon disavow Republicans during the Clinton years and become a progressive agitator. Schultz would be considered one of the biggest voices on the left. I mean until he found his MAGA hat in the bargain basement. Schultz would soon betray his base by appearing at the Conservative Political Action Conference in 2017 to slam Hillary Clinton, Bernie Sanders and Democrats for ignoring "real American" concerns. When he joined RT, he would be soon working for the Russian government. He would often do stories that were slightly critical of Democrats and sometimes Trump. He will be missed among some on the left. Some still simmer over his support of Trump. Regardless, Big Ed will leave an impact upon friend or foe.